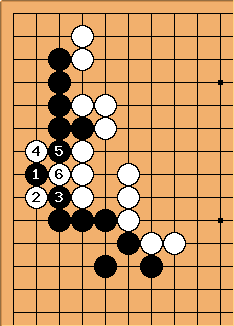 If Black plays the symmetric point, White cuts off with this cut through the keima. This is another variation. Black tries a kind of "monkey jump on the second line", then White plays the attachment at . 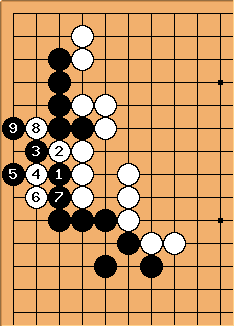 Next, descending at is key.